For beginners who are looking for easy to use desktop 3D printers, you will find the best entry level 3D printers on this page. Our list includes cheap, compact and reliable 3D printing machines that are designed for the novice. What is the best desktop 3D printers designed for beginners? Where to look for a great 3D printer for beginners. For those who are still new to 3D printing and are planning to purchase their first machine, then you are on the right page. In this article, we will explore the best 3D printers fthat are suitable for beginners for home use. Most of the household 3D printers here are affordable, reliable, easy to operate and not to mention small and compact. These are also safe for children and make a good starter printer for beginners. In fact, it makes a great present for Christmas, birthdays or any occasions. Are you ready to see our list and find the best beginner 3D printer? So, let’s get started! Anyone wants the best home desktop 3D printer that fits best to their experience level. 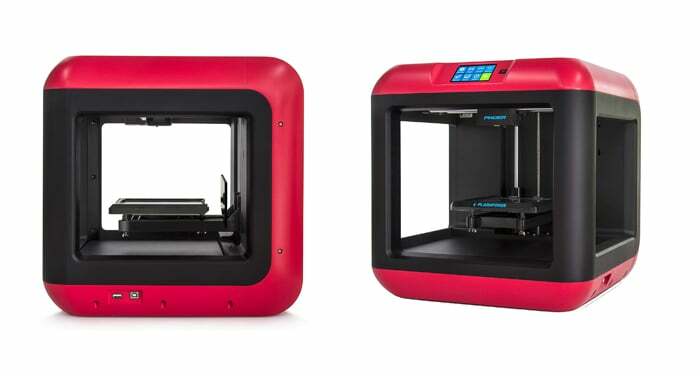 If you are new to 3D printing, an entry level desktop 3D printers are great starters for you. It can fit in your workspace, it’s more affordable and it delivers great results. Da Vinci Mini Wireless 3D printer is solely designed for beginners. It is fully assembled and calibrated and only uses XYZprinting filaments, so there is no need to adjust material settings. You can use it immediately straight from the box. In fact, this is probably the easiest 3D printer to use which makes it the best desktop 3D printer for novice. Da Vinci Mini has an aluminum print bed for larger and finer prints. It streamlines its printing function through a single-button print design. Also, for convenience of use, you can connect it wirelessly to your home network. It also includes different colored LEDs to indicate the printing status. This 3D printer for beginners is lightweight and only weighs 18 lbs. It can easily be moved around your house, so you can conveniently work in the bedroom, living room or in nay corner of your home. In addition, this comes with 30 ready-to-teach lessons online that encourage collaborative learning and problem-solving skills. If you want help, the brand has a big community of passionate and creative designers who are willing to help. They also include technical support if you have concerns about the 3D printer. Overall, this 3D printing machine is a great choice for beginners and kids because of the support and materials available which makes it even easier to use. QIDI uses Fused Deposition Modeling (FDM) technology that’s why it’s also referred to as FDM printer. It has a full metal frame with spray paint technology that makes it sturdy and stable during the printing process. Thanks to its fully enclosed design, the temperature is constant and it makes better printing results when using ABS. But you need a proper ventilation when printing PLA filament. QIDI delivers high quality printing outputs. It is can also print easy to complex objects. For your convenience, it is very simple to operate and the support can be removed painlessly. One of the best things that you will surely love about this machine is its great customer support. QIDI Tech after-sale service team will reply to your concern within 24 hours. These are among the reasons this model makes it into our best household 3D printers for beginners. This machine is fully assembled and has been calibrated at the factory. The manufacturer includes a sample of PLA filament and a MicroSD card with preinstalled models, so you can start printing right out of the box making it a good beginner 3D printing machine. Monoprice Select Mini is a small desktop 3D printer that supports all filaments from basic plastics like ABS and PLA to more advanced materials like wood, metal composites and dissolvable PVA. This machine comes in a compact desktop design that features a small footprint and basic open frame. It has heated aluminum build plate nozzle with a cooling fan. This machine is packed with powerful features that make it all the more powerful. It has a quick-release steel gear filament feeder, easy to read color LCD, MicroSD card and USB connectivity, and more. This is one of the 3D printer for beginners that support various OS systems including Windows 1 and later, Mac OSX, and Linux. It’s also compatible with Cura, Repetier and other software. If you wish to build large and more complex models, this 3D printer can help you get the job done. Monoprice Maker Select 3D Printer V2 is a big home 3D printer that produces large prints. It comes with a large heated build plate. Since this machine is big, you may need to consider your space. It can print using any type of filaments including ABS, PLA, PET, TPU, TPC, EPE, PVA, HIPS, Jelly, Foam and FELTY. In addition, this is equipped with a microSD card slot to print without the need to connect to your computer. Monoprice Maker Select V2 produces a high-quality object, but with a low speed. This is one of the most popular 3D entry because it offers more than you expect from it considering its price. This 3D printer can use both open-source and commercial software like Cura, Repetier or Simplify 3D. It is also cross-platform and works with Windows, Mac OS X and Linux. QIDI Tech X-One is another 3D printer for beginners. This includes a complete 3D printer set. The company ships this fully assembled and calibration. So, upon unboxing, it will not take you 1 hour to start printing. QIDI TECH X-one is equipped with a double layer metal with spray paint technology that makes 3D printer strong enough and the printing process more stable. It comes with 6mm CNC machined aluminum alloy platform build that is flatter and not easily deformed with 3.5-inch touchscreen with a user-friendly interface for easy operation. As a result, you can adjust the setting on the screen during the printing process. It achieves heating function and supports printing ABS and PLA filament. The company includes a detailed user manual on the SD card that comes along with the package. They also have an after-sale service for exclusive and fast support. FlashForge Finder features an intuitive calibration detection system to assist leveling. You will be directed to tighten or loosen leveling screws until a beeper barely sounds. It also detects the distance between the nozzle and the build plate to verify whether you’re leveling is at the right position. This machine is also easy to operate. It has a 3.5-inch HD IPS touchscreen right at the top of the printer with big and easy to understand controls. You can start 3D printing with just 4 taps and without the need to hook it up to your computer. For ease of use, it includes real-time view printing status and when it will be finished. It is also equipped with Wi-Fi, USB and flash drive connectivity. Da Vinci miniMaker is another great desktop 3D printers for beginners because it is lightweight and compact. For those who wish to own a 3D printing machine, this model is designed to fit in tight places. In addition, miniMaker is fully assembled so you can print right out of the box. To make your first 3D printing experience fun and convenient, it is already calibrated so there is no need to adjust the material setting. This printer features auto-leveling bed and auto-calibrating extruder. For a hassle-free 3D printing experience, all of the XYZprinting printers come with free CAD and slicing software. It has user-friendly UI that will lead you all the way from modeling to printing. This 3D printer is programmed to only print DEHP-free and Heavy metal-free PLA filament to ensure that the prints are safe for your family especially to the children. Lulzbot Mini is a trusted 3D printing brand. Its Desktop 3D printer is equipped with self-leveling and self-cleaning features for low maintenance. It also comes with an ultra-reliable and proven extruder that delivers fast heat-up and stable print temperature. In addition, Lulzbot Mini makes sure that you will not have any bed adhesion issues by keeping the prints in place without the need for solvents or glues. This 3D printer supports different materials. So, newbies can use different filaments using this 3D printer including HIPS, PLA, and nGEn. These are available in a wide variety of colors making it perfect for decorative items and prototyping. In addition, you don’t need to assemble this as the brand will ship the 3D printer fully assembled and calibrated, so you can start printing straight out of the box. This 3D printing machine is easy to handle and operate. Lulzbot Mini is built to last, so you can depend on its quality. This 3D printer features a simple yet elegant minimalist design to fit any living space. In addition, it’s quiet and safe making it great for use at home or in the classroom. It is equipped with hardware and software that operate intuitively and with reliability. It also has a clear cover that protects your prints and your hands from its hot or moving parts. The printer includes select and customize features. For convenient use, this comes with a simple web interface, is Wi-Fi enabled and easy to use. You can control the process from any device making it perfect for DIY makers, families and educators. In general, New Matter MOD-t is a great choice. Unfortunately, the brand closed their business earlier this year and advised to use third-party software that some consider is a hit and miss. This 3D printer is affordable, reliable and effective. It’s almost fully assembled, you just have to put the screws and it’s ready for use. It comes with a superb build quality. It is sturdy and strong. You can assure that the machine is safe while delivery because it is well-packaged. It is well-protected in quality cardboard and styrofoam. The machine has a steel frame that gives it extra stiffness. It is equipped with easy to use interface for easy operation. In addition, it allows you to use different materials including PLA, PETG, TPU and ABS. So, you can create anything you have in mind. ANYCUBIC has a great community of users who are always trying to build new stuff. There are groups on Facebook and in other forums if ever you want to reach out for them for any help or tips. Its strong community is a great source of support especially for beginners who are still working trying to familiarize their 3D printer. FDM 3D printers use the Fused Deposition Modeling (FDM) technology, hence the name. It processes thermoplastic filament, which is heated to its melting point and then extruded, layer by layer to create a three-dimensional object. The materials for this 3D printer tend to be strong, cost-effective and waterproof. You can use ABS materials for its impact resistance and toughness. Multiple material colors are also available for a livelier output. The machines above all use FDM technology. FDM produces cheap desktop 3d printers. Desktop 3D pritners are not huge. You can’t expect them to come at the size similar to those used in the industrial sector. However, you will find some with a large build plate to allow you to print bigger objects. If you are a beginner looking for a large desktop 3D printer, you can opt for Monoprice Maker Select 3D Printer V2. Aside from helping you produce big outputs, this can also process complex models. For those who are new to 3D printing, these are the best entry level 3D printers for you. For beginners considering in buying a 3d printer for home use, you can start by picking up any of the desktop 3d printers above. We guarantee that these printers work and they offer warranty and after-sales support. In addition, our list includes affordable 3D printing machines that will surely fit your budget. The majority of these machines are safe for use at home and school. As a result, it makes a great present for children. If you want to learn more about 3D printing and 3D printers, feel free to visit our homepage.